Hoop Polska Sp. z o.o. 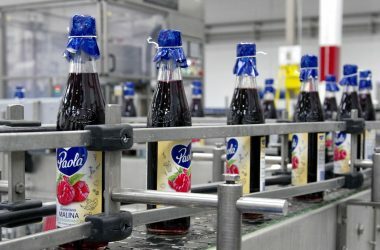 belongs to the Kofola ČeskoSlovensko a.s. Group, which is one of the most important manufacturers of non-alcoholic beverages in Central Europe. The company operates in the Czech Republic, Slovakia, Poland, Slovenia, Croatia and Russia. It exports its products to other countries, such as the United States, Canada, France, Germany, Great Britain and Lithuania. The company consists of a team of qualified employees, experts in their fields, who each day build its market position. Brands that are in the portfolio of Hoop Polska are well known to consumers and deeply rooted in their consciousness, for years enjoying the confidence of Poles. Artcic + functional drinks (Elements, Fizzy and Isosprint line) and Mr. Max drinks. since January 2018, Hoop Polska is also a distributor of Nestea – one of the most popular brands in the iced tea category on the Polish market. An experienced marketer and manager, associated with business for over 20 years. He came to Hoop Polska from Kofola, where he was Marketing Director. Previously associated, among others, with Poděbradka a.s., Dobra voda Ukraine, where he managed – marketing and commercial area respectively. His fascination with the first advertising campaigns in the 90s decided on the field of study he chose. He is an economics graduate in marketing specialization at the University of Liberec. He cannot imagine managing a company without passion and commitment and does not start his day without a double espresso. “Simplify” – this is his motto, which he often repeats. Expert in finance. Its distinguishing features are precision, meticulousness and attention to every detail. 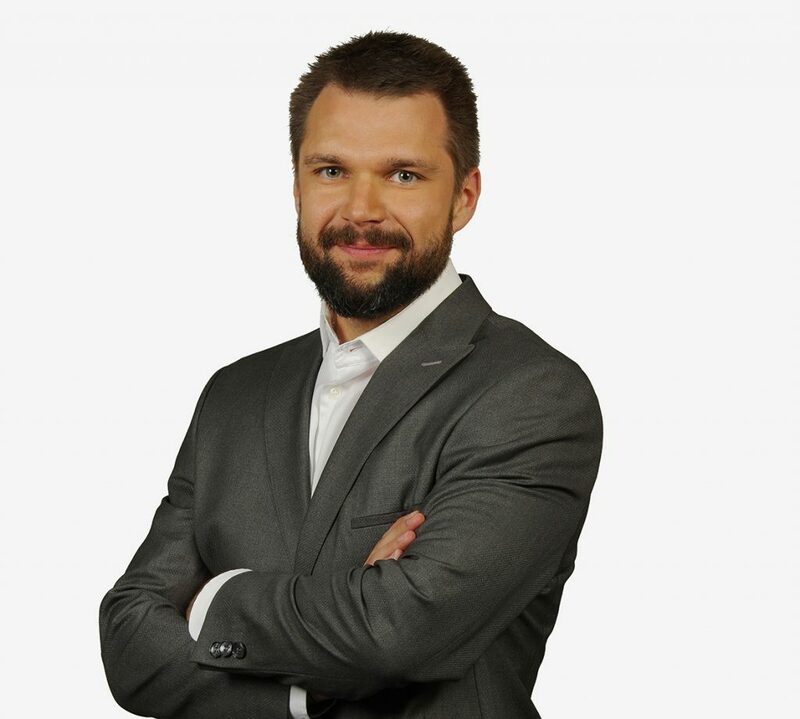 A graduate of the University of Economics in Prague, he has a degree in Statistics and Insurance Engineering with specialization in the field of monetary and banking economics. ACCA member (Association of Chartered Certified Accountants). 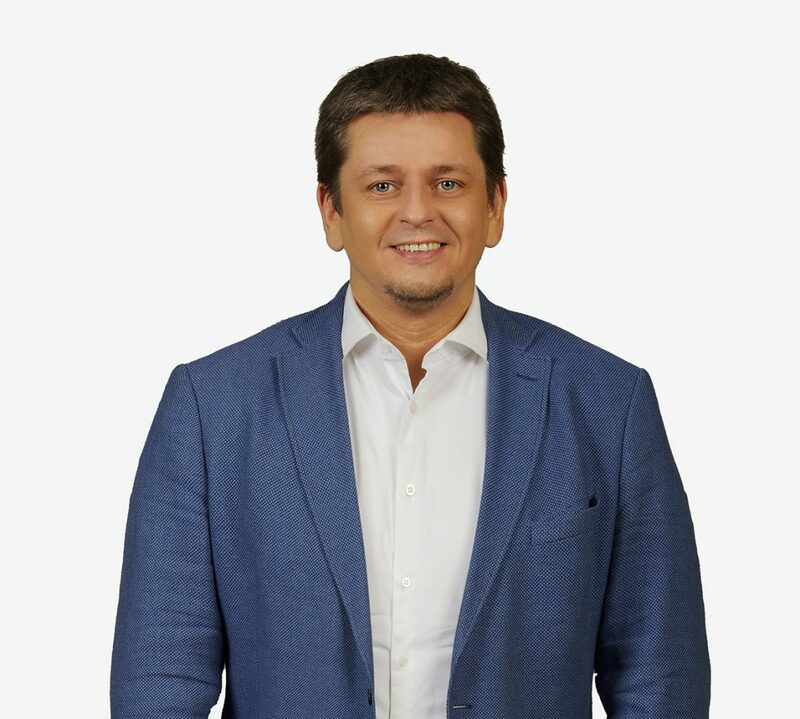 He gained professional experience, among others, in the SFM Group, KPMG Czech Republic and Kofola Group. A graduate of the Palacký University Olomouc, associated with sales from the beginning of his professional career. 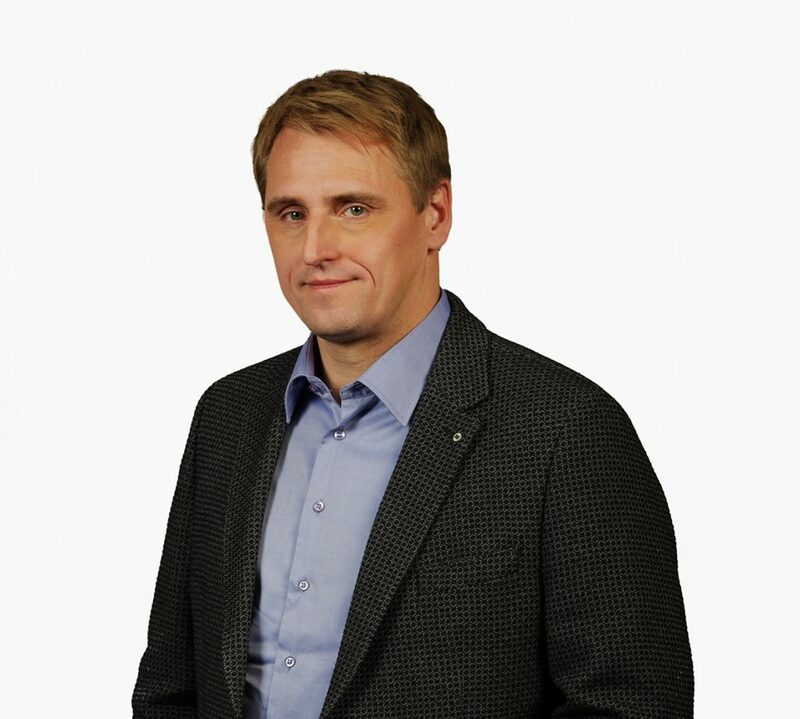 He gained experience, among others in positions: Sales Representative, Area Sales Manager, Key Account Manager, Key Account Director, Channel Development Manager, Sales Director Retail & Horeca. Before joining Hoop Polska, for many years he was related to the drink industry with a slightly stronger character, working for Pivovary Staropramen breweries. He is convinced that success is not a matter of chance, and in business fortune favours the prepared. In addition to extensive knowledge and experience in sales matters, he is valued for his consistency, clearly defined goals and flexibility. He believes that every seller should constantly knock on the customer’s door and look for new business opportunities and solutions that will respond to the needs of both parties. Hoop Polska is a company which has been present on the Polish market for 25 years. During this time it has been growing, building its portfolio and market position. Find out some facts from its history. The Hoop Polska company is founded in Bielsk Podlaski. 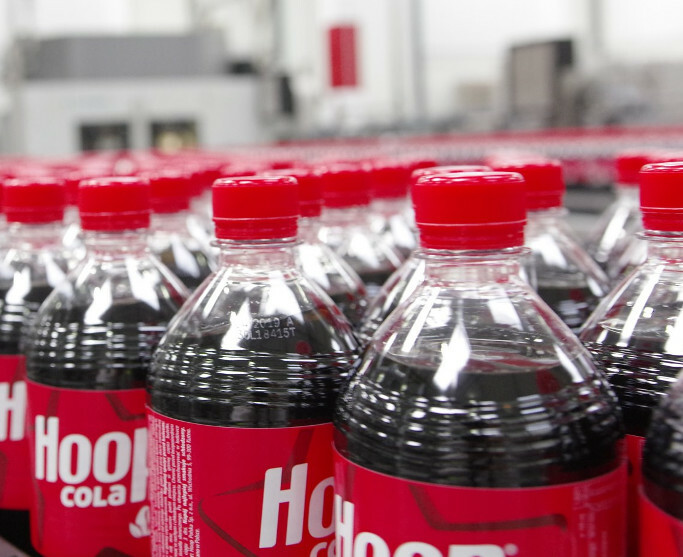 Initially, the capacity of the production line is 2,500 bottles of beverages per hour. Drinks offered by Hoop Polska meet all the quality and technological standards in force in Poland and the European Union. 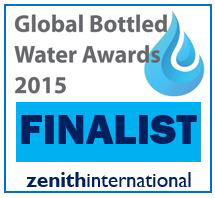 The company achieves this status as the first in Poland. 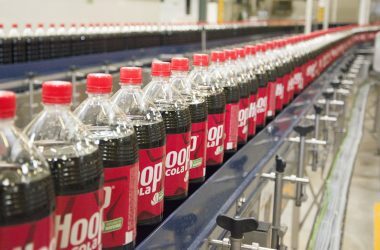 Hoop Polska signs a contract with CC for bottling drinks. Cooperation with the largest beverage producer in the United Kingdom – Britvic International Ltd.
Arctic +, as the first brand in Poland, used the world-famous Cindy Crawford in its marketing communication, and the campaign itself was successfully continued for over 2 years. Construction of a modern production facility in Kutno. Hoop Polska signs a contract for bottling of still functional drinks for children with DreamWorks – the owner of the Shrek’s image. Hoop Polska takes over the Paola brand. Hoop signs a contract for bottling of fizzy drinks for children with Mieszko, the owner of the Zozole brand. Merger of the Kofola Group and Hoop Polska Group. Opening of a new production and storage facility in the production facility in Kutno. Termination of production activity at the plant in Bielsk Podlaski. 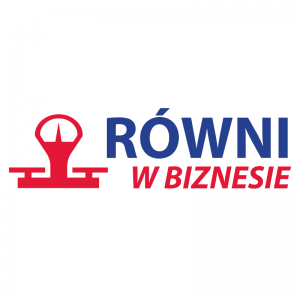 Completion of production activities at the Grodzisk Wielkopolski facility and finalization of production concentration in a modern plant in Kutno, located in central Poland. 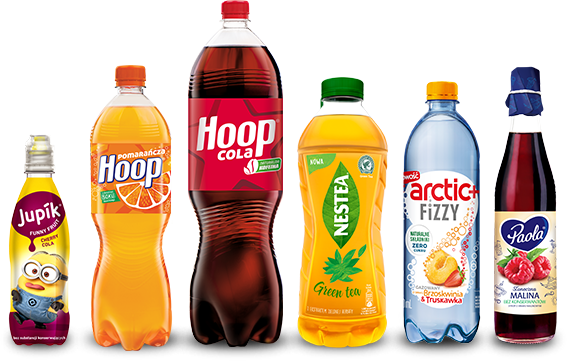 Hoop Polska becomes the exclusive distributor of Nestea products – one of the most popular brands in this category on the Polish market. In our production facility in Kutno, we use innovative technologies and innovative solutions, implementing a modern recycling program that combines ecological and economic efficiency. Thanks to the use of unique technologies on the Polish market, we recycle 100% of the reusable waste generated in our plant, according to the division into fractions. Recycling takes place under the control of qualified experts with whom we cooperate, using a high-quality monitoring and verification system for each stage of utilization and recovery of products. The highest quality of manufactured products is a priority for Hoop Polska. 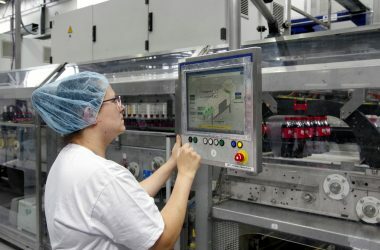 The trust of our consumers and business partners we see as our duty, therefore the company constantly increases its quality standards, investing both in the products themselves as well as in the production facilities – modern lines, production technologies and a multi-stage production process control system. Hoop Polska uses high-quality raw materials from reliable suppliers to manufacture its products. In addition, in the work to ensure the quality of its products, Hoop Polska uses not only its own facilities, but also the knowledge, experience and the entire know-how of experts from the Department of Research and Development of the Kofola Group. 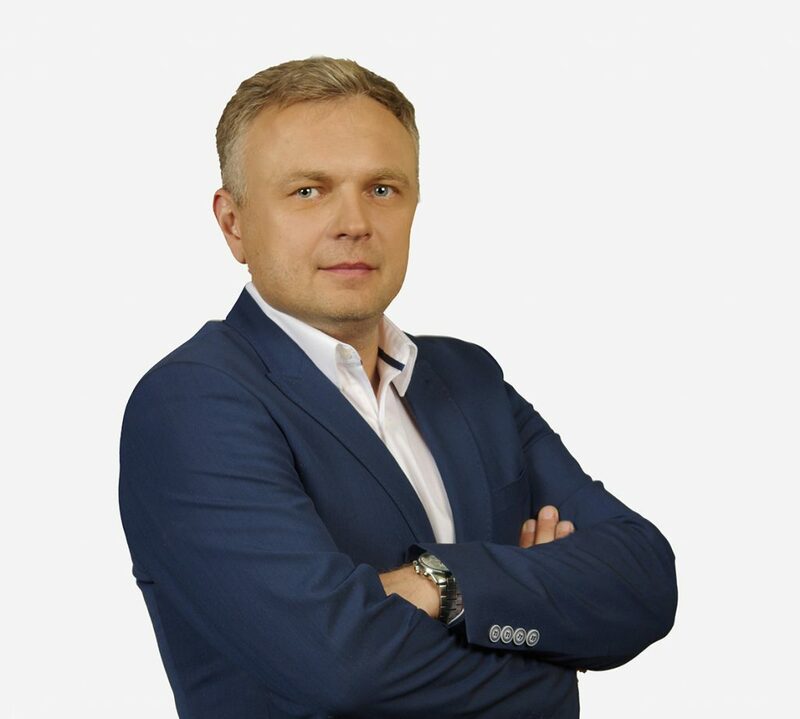 The company also pays great attention to cooperation with sector organization, such as the Polish Federation of Food Manufacturer, whose goal is, among others, conducting a public dialogue to build high standards of market standards for food production. 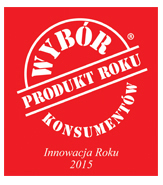 The goal of Hoop Polska is to offer consumers products that are safe, good quality and comfortable to use. To achieve this, Hoop Polska cooperates with suppliers offering the highest level of services, uses the highest quality raw materials, and implements globally recognized quality standards and certificates. This certificate proves that Hoop Poland maintains the highest quality of its products and improvement of all processes related to production, as well as conducting business according to the management standards adopted in the company, which aim is to control the quality of products carried out at every stage of their manufacturing process, which allows to eliminate risk for the quality and safety of products. This is an international standard for auditing suppliers and manufactures of self-branded food products. It serves the purpose of unifying the safety checks on foodstuffs. Every year, the Hoop Polska certificate is renewed as a result of the audit process. The basic assumptions of the WCM program are zero waste, zero defects, zero breakdowns and zero storage. The above assumptions are aimed primarily at improving productivity as well as quality, technical ability and level of services. Every month at Hoop Polska a WCM internal audit takes place, and once a year – an annual audit, carried out in each of the plants of the Kofola Group. 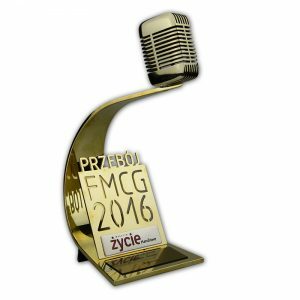 Hoop Polska is a company that has been awarded for many years on many fields. The awards we receive are proof of the appreciation of consumers, traders and industry experts. 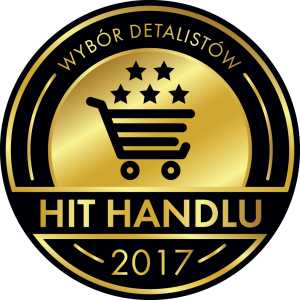 Hit Handlu, Złoty Paragon, Dobry Produkt – Wybór Konsumentów, Global Bottled Awards, Przebój FMCG – these are just examples of the awards we have received in recent years. Each of them is a source of pride and satisfaction for us as well as proof of the quality and effects of our work.